The antennas, proposed for 1152 N. Christiana Ave., don't belong in a residential area, neighbors say. HUMBOLDT PARK — Residents near the 1100 block of North Christiana Avenue want to stop T-Mobile from putting cellular antennas on the roof of a low-income housing building. They have health concerns about radio frequency emissions and fear the antennas could hurt property values, they said. The nonprofit that owns the building, Latin United Community Housing, contends that the antennas do not pose a "discernable" health threat, and they will benefit the community because the agency is getting a monthly stipend in the deal. Behind the application is NTP Wireless, a company that finds sites to put the antennas. 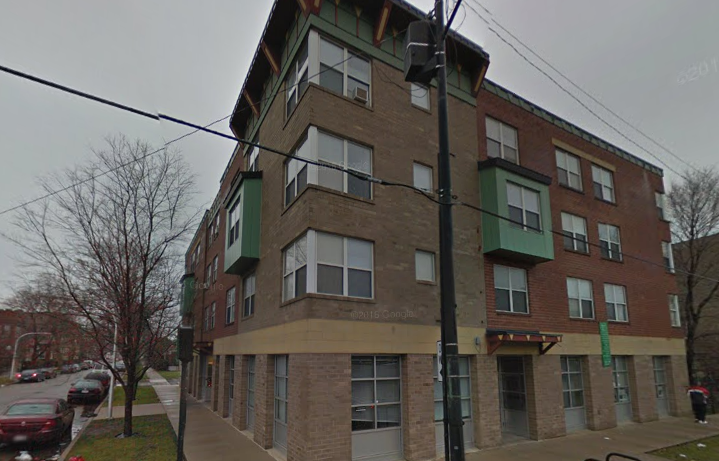 The company wants to build a cluster of nine T-Mobile antennas atop Humboldt Park Residence, a single-room occupancy building at 1152 N. Christiana Ave., according to a notice sent to neighbors. The construction does not require a zoning change. Kurt Gippert, who lives a few houses away from the site, launched an online petition, which has gained more than 100 signatures. 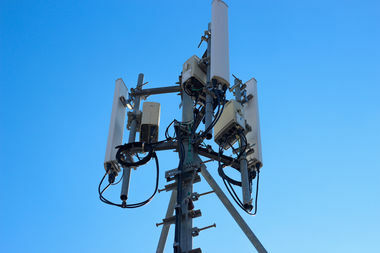 In the petition, Gippert argued there is "insufficient data" on the health impact of cellular towers, particularly when it comes to the elderly, sick, children, women and pets. "FCC radiation guidelines are over 20 years old and were last updated when cellular phones were the size of a suitcase. Now almost everyone has a phone in their pocket. The individuals used as the FCC test subjects were all healthy adult males," the petition reads. "Radio frequency waves have no health benefit. The risk is not worth taking." There is very little modern research to support the risk of cancer and other health problems caused by cellular antennas and towers. According to media reports, the devices can have a negative impact on property values because people perceive health risks or find them ugly. The property value issue is another reason neighbors oppose the construction of the antennas. Latin United Community Housing, on the other hand, fiercely defended the antennas, saying the deal will help pay for some of the organization's community-driven programs that would've otherwise expired due to a lack of funding, including on-site gardening and wellness and bicycling programs. The organization said the stipend also will help sustain affordable rents in the building in the absence of low income housing tax credits. The dollar amount was not provided. "We are aware that there is misinformation circulating by a small group of opponents of affordable housing. This group has also been circulating a petition against the issuance of permits for this application as an obstruction to affordable housing programs," the organization wrote in a prepared statement. The nonprofit said it conducted its own research on cellular antennas and concluded there is no link to human health or safety, and there are hundreds of similar existing antennas within a 3-mile radius of the site. The organization denounced part of the petition that says the residents of the low-income building suffer "from addiction" and are "undergoing treatment" and suggested they need protection. "We take serious offense to their Trump-style attack of our tenants," the organization wrote. "The tenants of Humboldt Park Residence are kind and neighborly, are largely working-class residents and are frequent customers of the local businesses." In response, Gippert said the nonprofit "shouldn't get to decide what my family and other residents have to live with." "They need to run their organization like a business and not just accessorize their building, the largest building in the area, to make up any shortfall," Gippert wrote via text message. Like Gippert, neighbor Dahlia Tullet said the antennas simply don't belong in a residential area. She said she would rather see them in an industrial area of Humboldt Park. "Obviously, we're in a culture where we love our cellphones, and that's the reality, and there are risks to varying degrees," said Tullet, who lives in a nearby apartment with her 4-year-old son and husband. "In this case, I feel like it's less of a risk to have it placed a few blocks away where there aren't homes. It seems like, why take the risk?" That opinion was shared by Jonathan Saligman, who lives nearby with his wife and two children, ages 6 and 3. "There [are] a lot of kids on the block. I understand that the overall research isn't huge. But there's a difference between a singular device and a tower that is beaming continually," Saligman said. The residents are calling on 26th Ward Ald. Roberto Maldonado to oppose the construction of the antennas, but it's unclear where the alderman stands. Maldonado's chief of staff, Kathleen Oskandy, wouldn't say whether the alderman supports the plan. The alderman wasn't available for an interview Monday or Tuesday. Neither NTP Wireless nor T-Mobile responded to requests for comment Tuesday. Despite the growing number of opponents, Latin United Community Housing said it doesn't intend to back down from pursuing the deal. "With the overwhelming support of our tenants, staff, board of directors and community, LUCHA has agreed to support the placement of a cell antenna above the Humboldt Park Residence, and the service provider is moving forward to obtain its own permits under its commitment," the organization wrote.